Signal delays often snarled straphangers morning subway commutes in 2018, according to new analysis by the Riders Alliance. 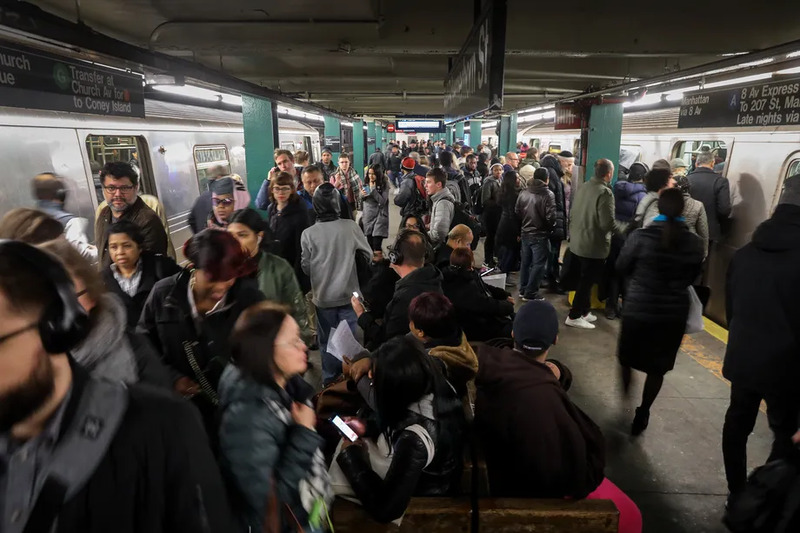 It is more than a year since the MTA’s Subway Action Plan to fix the dilapidated subway system was enacted, but straphangers may not realize anything has changed. 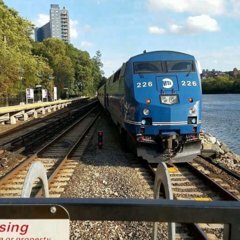 According to a new analysis by the Riders Alliance, weekday morning rush hour commutes were marred by signal problems 92 percent of the time in 2018. Of the 251 morning rush hour rides in 2018, 230 were snarled by signal issues. January and February were the worst months with signal delays literally every single morning, according to the group’s analysis of MTA data. The F was the worst line, with 72 days of morning rush hour signal delays—which translates to more than a quarter of all morning commutes in 2018. Six subway lines saw more than 50 days with signal delays—a signal failed on one in five work days. Another ten lines suffered more than 30 days with signal woes. 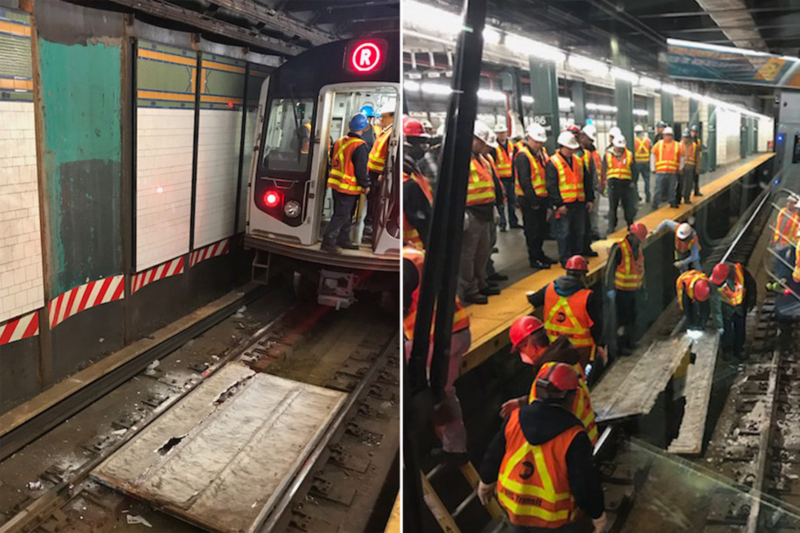 In July 2017, then MTA chairman Joe Lhota unveiled the transit agency’s plan to address both immediate and long-term issues with the ailing subway system, which included creating a team dedicated to fixing 1,300 signals in dire need of maintenance by the end of 2018. The short-term fixes cost $836 million to implement, which figured to $450 million in operating costs and $386 in capital investment. Gov. Andrew Cuomo ponied up half of the cost, and after months of staunch opposition, Mayor Bill de Blasio agreed to cough up $418 million toward the plan. NYC Transit president Andy Byford’s “Fast Forward” plan to overhaul the transit system would replace the failing signal system with new technology known as communication-based train control—a linchpin of the plan. But the plan is still in need of funding—as much as $30 billion worth. Riders Alliance called on Cuomo and the state legislature to fund that plan by including congestion pricing, which is expected to generate about $1 billion per year, in the state budget, due on April 1. Signal delays will be an issue until we restore past staffing levels in signal maintenance (we're down maintainers over the long term) or we make it easier to actually affect repairs -- ie reform work rules and track access protocols so that fixes (whether they be preventative or reactive) can be done quickly/efficiently. SAP generally, though, did two things: it obfuscated the operational rot that creates its own delays/significantly worsens failure incidents, and it greatly worsened the budgetary crisis we see today. Save for some its provisions in the realms of EMS response and overall staffing levels, it was otherwise a poor investment. ^^ I think that's the key message here. I agree SAP was questionable investment at best, and honestly that was probably simply the result of Cuomo deciding it needed to look like he was doing something immediately. I don't think the question is that of "is the work being done" it's "is the work being done actually accomplishing anything". Byford's Fast Forward looks better, and indeed would address the core issue, but who knows. If only a certain governor had spent a billion dollars on that and not "enhancing" stations. Disagree. The old signals are perfectly maintainable — and are actually in many ways easier to deal with than their newer counterparts (cough cough Bergen St Interlocking cough cough). The issue is much more poor maintenance practices and understaffing. Interesting. In my head I had figured that the mechanical relays and timers had on the whole aged to such a point that it had become nigh-impossible to entertain a preventative maintenance regimen on them and thus, the failures that cause delays due to "signal problems" were so prevalent. I'm curious, is there a specific element that fails most often? I had assumed that most of the time signal problems were a track circuit failing to clear or worse, flashing signals to danger and tripping trains, and I had assumed that problem to be sticky, scored or otherwise janky relays - I had wondered if engineering a drop-in replacement for a mechanical relay with solid state parts that would trigger at the same levels blah blah blah would help? I think this narrative becomes more expletive when one considers the answer to your second question: the most common 'signal problem' is a track circuit failure, or an event where conductive detritus bridges the insulated joint that separates blocks. That isn't some technological cataclysm we're facing. It's negligence towards basic maintenance. All of this said, the long term outlook for maintaining a system of mechanical relays is (even just on an economical level) not great. Investments in new tech (*especially* at interlockings, and in areas designed around pre-R10 braking systems) should absolutely be made. But I think there's a difference between saying "we need to hasten target equipment upgrades" and saying "ahmygad signals are killing us so let's kill all of them willy nilly..."
...which brings me to my main point. Signal delays aren't just driven by signal problems. The operating environment contributes to their impactfulness just as much as the incident. Poor junction operations, arcane flagging rules, timers, poor service change decisions, the lack of gap trains, etc etc etc all contribute to the mayhem that follows delays because they simply make the system less resilient. And I don't think I have to remind you, either, that it's not even the supposedly-signal delays but instead simple operating delays that are the overt driver of a super majority of late trains. It just so happens that fixing those issues requires more work (and less money) than going for the signal splurge. The operating environment contributes to their impactfulness just as much as the incident. Thanks for your whole reply but that is a very key takeaway. It looked like in the fast-forward deck that byford was going to try to attack some of that, but entrenched culture is, well, entrenched. We'll see. From the partial wall collapse in Bay Ridge back in 2017. Feel free to explain why there are likely 30 people on hand to remove the debris as my interest in quite piqued. As for the actual article in the OP, it took a long time to get to this state and it will take a while to get out. Ha! Well, fair point. Not a lightbulb but none the less illuminating. Don't get me wrong, I'm not and wasn't denying in any way the entrenched and endemic inefficiencies of the agency. I have also heard from friends inside that they are short on signal maintainers - the two aren't mutually exclusive. Though, The color of the helmets is telling. On any project I've ever seen White is reserved for Managers, supervisors, foremen. Look at em all there uh - ""supervising"". For my money that's pretty telling regarding where the inefficiency lies, but your mileage may vary. If I recall correctly within MTA red helmet is Infrastructure (checks out). I see the same thing in city government operations. Parks dept, DOT, DEP, etc. Two guys doing actual work and two more "supervisors " standing around doing nothing. It's such an entrenched part of government mindset, and leads to all the stereotypes of lazy government workers milking the system.